We picked the coldest day of the summer to go to the beach. But I was going to wear a swimsuit anyway. Because hello? the beach. But also because I love my swimsuit. But I’m a rule breaker. My body is lumpy and squishy and short and doesn’t look good in red and I have messy hair and pointy teeth, but I can walk and breathe and imagine all sorts of wonderful things and it gets me from point A to point B. 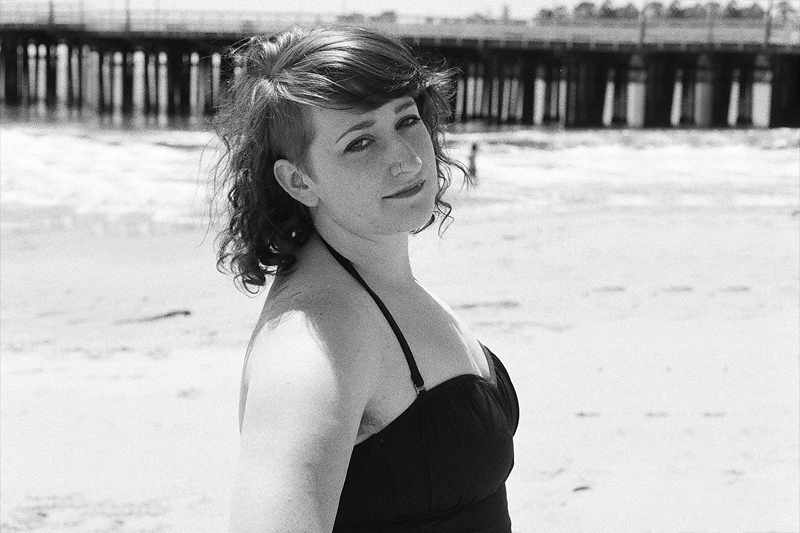 And on sunny days (or even on cloudy ones) I can squish it into a 50s style swimsuit and take it to the beach. And that’s not a thing to hate. I took my lumpy, squishy, short self to the beach and had a glorious day with my sister.My body did what it does best: it ran away from waves and soaked up rays and created rows of tiny goosebumps when it was time to finally put on more clothes. My body didn’t need my permission or love to go about its business, but my mind sure felt empowered in offering both. I haven’t always been so keen to dish up self-care. I haven’t always been so willing to accept praise or compliments or TRUTH. But for the past two years I’ve been learning a new way of living—a better way. Like when SheLoves Mama Bear, Helen, told me she just loved my teeth and the way I grinned and showed my rows of asymmetrical pearly whites. I decided to start carrying it as a badge—as permission to see myself as beautiful. It’s not that I started to walk around the world thinking highly of myself all of a sudden, but what purpose was it serving to think I wasn’t good enough, or smart enough, or beautiful enough? So instead, I’ve spent the better part of these two years learning the business of being loved and believing in my own value. And people think I’m amazing and talented and (gasp) beautiful. They can see it because I can see it. But most days I walk out the door assuming I’m beloved and making a point to let other people know they are too. And I’m not entitled to friendship and grace, but I’m pretty sure if I can stay just centered enough to avoid arrogance and shame, then I can love me and love others.